During the recent concluded defamation trial Ms Vijaya Priya A/P Ananthan, the AirAsia Bhd’s (AirAsia) Government Relation Officer, had testified in the AirAsia’s defamation suit against yours truly that when MPs submitted questions concerning AirAsia in Parliament, AirAsia will be consulted by the Ministry of Transport and AirAsia will prepare answers for the Ministry to reply in Parliament. 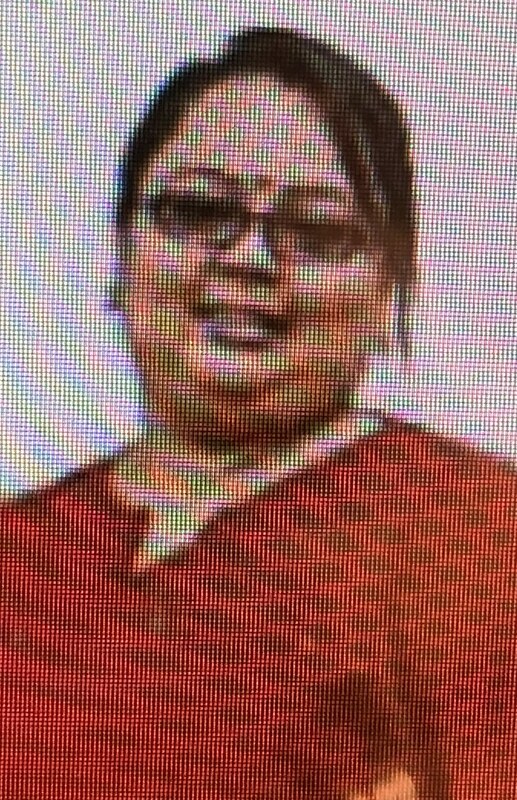 Ms Vijaya Priya A/p Ananthan. She was on a denial syndrome trip during the trial. For the record, of course Ms Vijaya Priya denied that AirAsia owed any passenger service charge (PSC) also known as Airport Tax to MAHB. She must be given a badge of honour for steadfastly in the denial syndrome mode when testifying. A job well done!. She should be promoted because she is on the same page with her superior. All airlines are collecting the PSC on behalf of the airport operators. In this case and in Malaysia is MAHB. The status of the airline is a collecting agent and in a position of trust. The collected PSC from passengers, who have completed their flights, lawfully belongs to MAHB. Airlines being the collecting agents for the airport operators have no reason to owe or withhold any PSC, when it is due and payable, from airport operators unless they are unable to meet their financial commitments for reasons best known to them. It must be noted that all PSC is fully paid in advance by passengers upon the issuance the flight ticket. AirAsia is contractually bound to pay over all PSC collected to MAHB within 30 days from the date of invoice. Overdue payment after the said 30 days, MAHB will impose late Payment Charges of 1% from the date of invoice. In 2012, RM 1, 823.33. Between 1 January 2015 and 20 April 2015, the amount of late Payment charges that had accrued was RM 22,550.14. For the period between 1 January 2015 and 20 April 2015, RM 15, 644.66. Just imagine a mere 1% Late Payment Charges imposed by MAHB, the Late Payment charges amounted to as high as RM 604, 236.65 for AirAsia in 2014 and RM 120, 084.48 for AirAsia X in 2014, RM 120, 084.48 for Thai AirAsia in 2010, RM 24, 078.65 for Zest Airways (AirAsia Zest) in 2014 and RM 291, 839.01 for PT Indonesia in 2010. 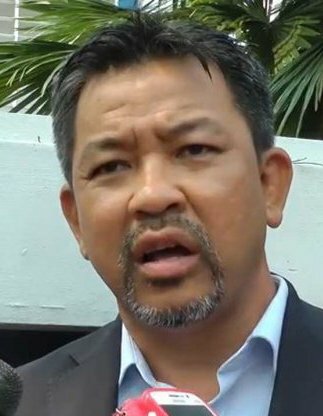 During the trial AirAsia did not directly challenge the testimonies of the said MAHB’s Senior Manager, Finance, on the PSC debts owed and late Payment Charges imposed by MAHB against AirAsia, AirAsia X, Thai AirAsia, Zest Airways (AirAsia Zest) and PT Indonesia AirAsia. It was obvious that it could not challenge the facts and figures because they were true or substantially true as found by the learned High Court Judge. In the AirAsia Statement of Claim, it had the audacity to claim that on 20.4.2015 yours truly had falsely and maliciously published the article entitled “Why Liow & MAHB encouraged AirAsia to owe RM50 million PSC/Airport Tax?”, in HERE. En Amir Fawsal Zakaria, Head of AirAsia Legal Department. A professional on wilful blindness trip. Yours truly is wondering which law school En Amir Faesal Zakaria went to for him to come out with such embarrassing statement. May be he was on a wilful blindness trip when he made that statement. Now it has been proven that this so-called legal expert, En Amir Faesal Zakaria, had made the above false statement with the clear intention to mislead members of the public. Had En Amir Faesal consulted its Group Finance Officer, Mr Shin Kok Leong, about the PSC debt, he would have known the real facts and wouldn’t have made that stupid statement. May be he was influenced by his environment to make that irresponsible statement with the hope to protect the image of AirAsia at all costs. What a stupid act for a professional! By the way during the trial, this En Amir Faesal Zakaria, did not show up in court to support the AirAsia team of officers. May be deep down in his heart, he knew the outcome of the trial because the truth will always prevail. On 6 March, 2018, the learned High Court Judge, Justice Datuk Su Geok Yam, had found the allegations in the said article was true or substantially true, in HERE. 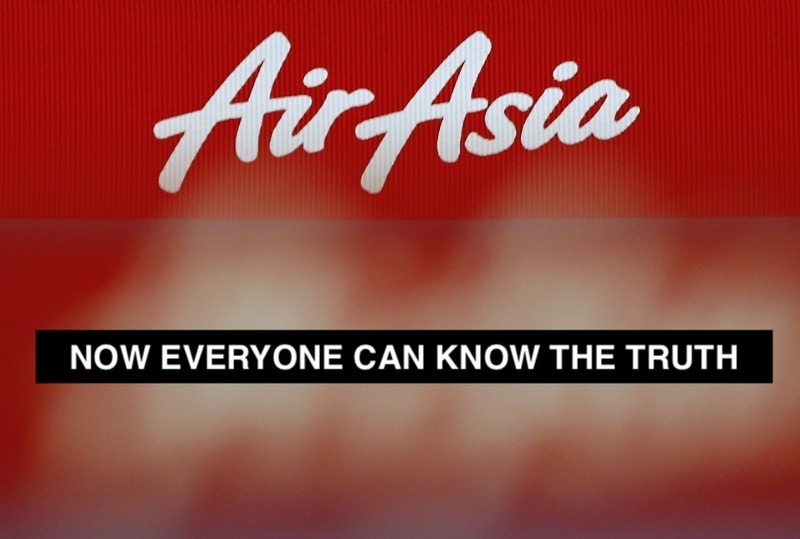 In future, readers should be mindful and cautious when reading any statement from AirAsia or any of its officers. Birds of the same feathers flock together. The two officers are no different to Tony. Now Everybody can know that AirAsia was owing PSC. Stop lying you too idiots. AirAsia should explain why they have to pay several million of Ringgit of late payment charges if they didn’t owe PSC. MAHB better stop condoning the nonsense of this Tony. Its operating based on hype. I wonder if do they do the same at the other airports. Why must special treatment be given to AirAsia. it is just a company. It also mistreated passengers. When an airline owed PSC it is an indication that its financial state is bad. No reason to owe PSC because it was paid by passengers to airline. When it owed PSC, the airline technically had committed breach of trust. If you look careful in the internet, you will see Tony Fernandez coming out with all kinds of statements daily trying to show that AA is doing tremendously well. If a company is doing well, one does not see many press statements or interviews. Empty vessel makes the most noise. In view of the whiles that being shown, investors must also take their statements with a pinch of salt. I would touch any of Tony Fernandez ventures. Amir Faesal must have passed his law degree from Chow Kit Uni. A professional selling his soul to the pariah. Now he has to hide his face in the toilet bowl. He has also shown that he is just another pariah. YB, You don’t give up. You have been proven right and AA was lying all the way. Now you have torn the pariah’s face – no more air muka left. It is clear that AA owed PSC for many years but it had to lie otherwise the public and investors will lose confidence. people like Amkr Faesal Zakaria has to behave like a mercenary. He will have to try to lie and lie then can get increment and other perks. from the court decision, I could come to the conclusion that AA, it’s officers and Tony are all about lie, lie, lie and lie to survive. One day when the musical chair stops, it will collapse like a house of cards. They are relying on the friendly press like Stars, Malay Mail, Astro and etc to prop it up. Don’t worry. Amir Faesal has no shame. As long as he gets his salary, he will do anything to show that he is protecting AA even he knew that what he is going to say is false. He its a lawyer. To me more of a baruah! No wonder TF is very quiet. He deserved the result for lying and playing too much games. TF stop playing your nonsense and pay up all your debts including aeronautical charges, rental and etc with MAHB. We all know your nonsense. Too much hypes with no substance. I will never invest a single Sen in its share. If an airline owed PSC by the million of Ringgit that shows that it is in a bad financial state. Simple logic: PSC has been paid by passengers in advance. Why AA cannot pay the PSC collected to MAHB? I rest my case. Stop the empty publicity stuns and pay up PSC. I agree. the pariah to stop the publicity stuns and get AA to pay up the debts and pay the PSC on time. MAHB is not a bank. If to borrow million of RM from banks, AA will have to pay interest of at least 4% interest and no discount. MAHB please wake up and do your work. Run the airport facilities properly. Collect the PSC. If no payment forthcoming, ground the flight even if Khazanah says no. All you need is to look at AA’s annual accounts. It is a huge debt of billion of Ringgit. That is its background. From this fact we can conclude. Amir Faesal and Priya are mercenaries and not professionals so we must expect much from them. I am surprised by Amir Faesal Zakaria who has no pride as a law graduate. He will sell his life for salary from AA. I feel sorry for him and his family. AA did not owe PSC! Why the late payment charges? if Tony Fernandez has a way out, he would have came out to deny about the late payment charges. The fact that Tony, Kamarudin, Aireen Omar and the rest are now keeping extremely quiet about the PSC debt or late payment interests is evident of the sorry state of affairs. NOW EVERYBODY CAN SEE THE REAL CONS AT WORK.